Oceanfront three bedroom three bath townhome with great views of the Atlantic Ocean. Located in Atlantic Ocean Townhomes. 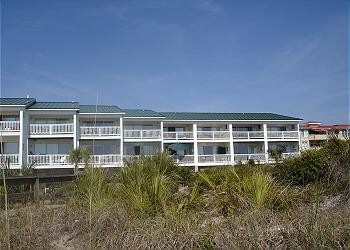 Within walking distance of several of Tybee's best restaurants. Shared pool. There is a two car garage on the ground level. The first floor has one bedroom and one bath. The mainroom area features the kitchen, living room, and a dining room table which seats six. There is a double bed in the bedroom. The full bath( shower) is just outside the bedroom. There is a TV and DVD player in the living room. An oceanfront deck with great views comfortably seats four. There are two bedrooms and two baths on the second floor. The master suite has a King size bed, a private bath, and a balcony with oceanfront views. There is also a TV and DVD player in this bedroom. The second upstairs bedroom has two single beds with a private bath and yet another TV and DVD player. There is a maximum of six people allowed here with a two car parking limit.